Imagine yourself floating above the ground, on soft grass, rocking back and forth, relaxing and letting your mind wander. So, what’s wrong with this picture? One cannot possibly float above the ground and yet still rock back and forth on the grass. 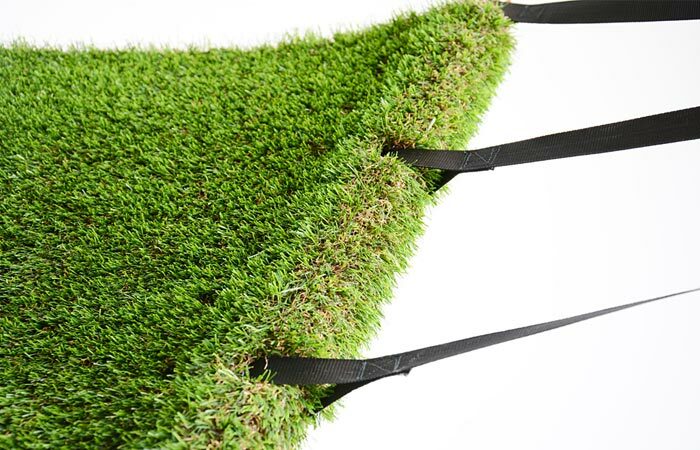 Well, that is feasible if you have Grass Field Hammock, designed by Studio Toer from Eindhoven in The Netherlands. 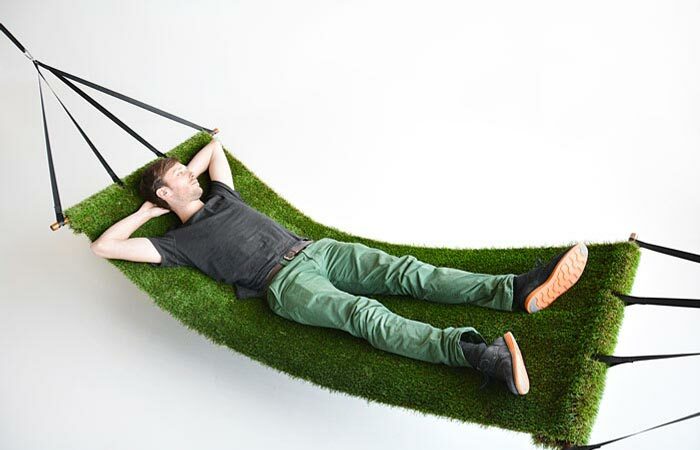 Grass Field Hammock is actually not made from real grass, but from soft, UV and water-resistant, multi-coloured, synthetic polyamide pile fabric, supported by polyester straps and with two hardwood poles to keep it in place. You can hang the hammock virtually anywhere with the help of two carabiners. 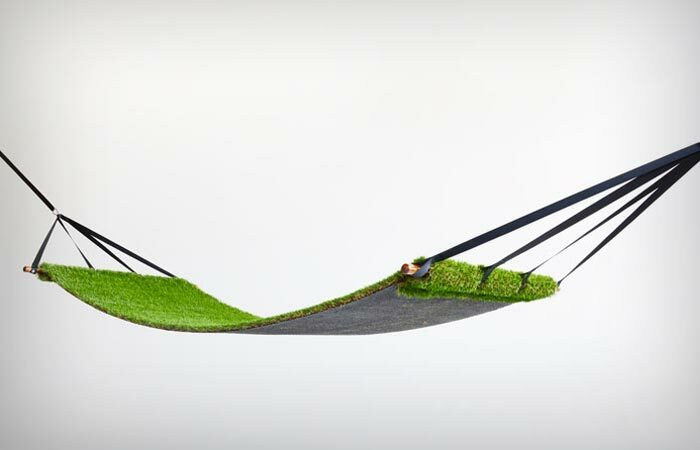 The designers say that the rationale behind designing this hammock lies in “human wish to control nature by mastering lawns and fields”.